Members of Congress are notorious for being tight-lipped about the details of the legislative process — especially when they’re talking to journalists. In part this is because of the intense polarization of our day. It’s also because lawmakers are wary of describing the kind of compromise and flexibility it takes to actually get legislation passed. At the same time, the two-year election cycle in the House of Representatives and the narrow margin of control in both chambers makes for an environment in the Capitol of constant campaigning. Sound depressing? It is for us, too. But luckily there are exceptions to the informational lock-down reporters face: Members of Congress who are on their way out. Retiring lawmakers suddenly become great sources of honest information about how the legislative branch operates. In the next few months we’ll be interviewing some of the dozens of lawmakers who have announced their retirement at the end of this year. Our hope is to pull back the curtain on the congressional process, and, perhaps, collect some ideas about what could be done to get Washington back on track. 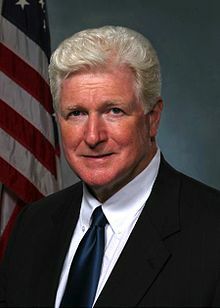 First up, Virginia Congressman Jim Moran, who is retiring with a long list of un-achieved priorities. The 69-year-old lawmaker spent more than two decades passionately advocating for bedrock democratic issues, including stronger environmental protections, and the the closure of the U.S. military prison at Guantanamo Bay, Cuba. But as we begin our interview, the white-haired Virginia Democrat slumps into a leather sofa as if to hide from the world. Moran is burnt-out. In the past four years Moran has introduced six bills regarding Guantanamo Bay and eighteen bills dealing with animal or environmental protection. None of them made it past committee consideration. In fact, Moran will leave Congress with few bills to his name and a dubious sense of accomplishment. Of the 298 bills Moran introduced since 1991, only nine passed into law. Of those, three renamed post offices. The most weighty of his legislative accomplishments is a law requiring that products containing traces of animal fur be labeled correctly. Although there is no pinnacle legislation of his career, Moran hopes his achievements will be measured beyond the passage of bills, and based on his passion for the institution of Congress itself and his lasting commitment to better it. Moran is only one of several dozen lawmakers who’ve announced their retirement at the end of this year. And his outlook for the future members of Congress is none too bright.